Jennifer Yatuoma Yousif was born on March 2nd, 1984, the third girl in the family that would eventually welcome two more girls and a boy. She was a happy, spontaneous child. As a teen, Jen was Miss Popular, a straight-A student and All-Star athlete, most notably as the point guard of her high school basketball team. As an adult, Jennifer was a real go-getter and successful businesswoman. At 23, she was diagnosed with a rare case of ovarian cancer. Though confused and uncertain, she believed in miracles, she believed in God, and she would fight this to the end. She married Johnnie Yousif on August 19, 2016. He loved her even after knowing all the battles she was facing. Jennifer and her parents and siblings had an unimaginable bond that will never be broken. She has 3 nieces and 7 nephews that she loved to spoil, and all who loved their Auntie Jen. She also had special relationships with her father-in-law and four sisters-in-law. On January 16, 2018, Heaven gained another angel. She was only 33 years old. 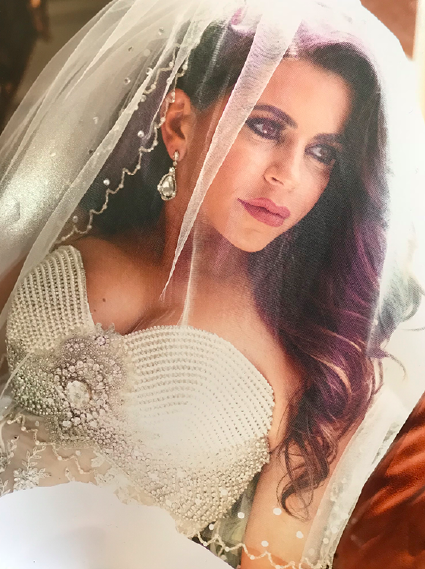 Jennifer is survived by her parents, Talal and Manahil Yatuoma; her husband Johnnie Yousif; her sisters Karen Kasmikha (Norman), Kristine Toma (Brian), Janie Gasso (Brandon), and Stephanie Johns (Ryan); her brother Joseph Yatuoma; and several nieces and nephews. She is predeceased in death by her mother-in-law Nazik Ketty Sanati, and is survived also by her father-in-law Yousif Sanati and her sisters-in-law, Jennifer, Sylvia, Michelle, and Nicole.